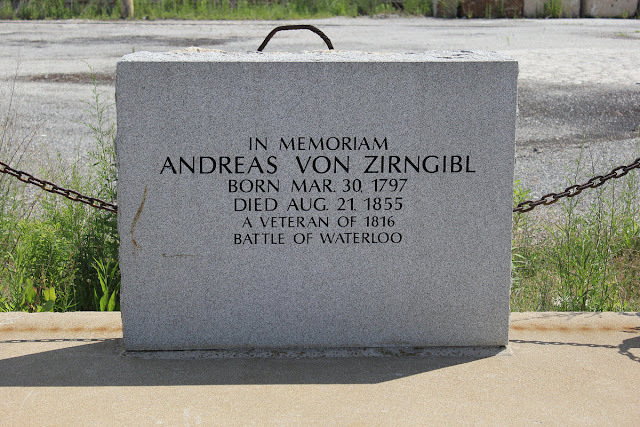 The Digital Research Library of Illinois History Journal™: The Andreas Von Zirngibl Gravesite is Chicago’s Smallest Cemetery. The Andreas Von Zirngibl Gravesite is Chicago’s Smallest Cemetery. 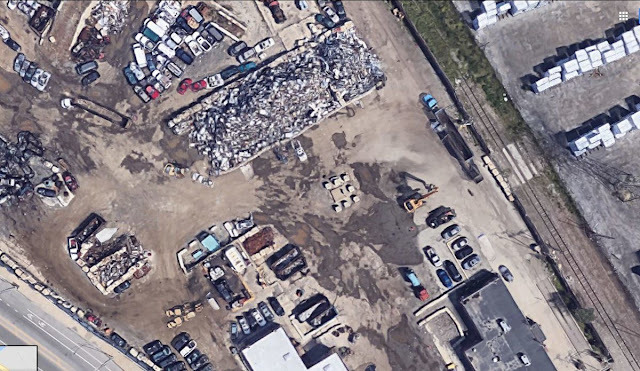 The smallest cemetery in the City of Chicago measures little more than 100 square feet and is located in the middle of the scrapyard for Sims Metal Management Recycling Center at 9331 S. Ewing Avenue in Chicago, Illinois. Von Zirngibl was born in Bavaria on March 30, 1797. At 18, he went to war with the Prussian forces of Gebhard Leberecht von Blücher, a fearsome and much respected field marshal who earned the nickname Marschall Vorwärts (Marshal Forward) due to his aggressive style of warfare. Under Von Blücher, Von Zirngibl fought at Waterloo in 1815 (although his gravestone incorrectly dates the battle to 1816). During the famous defeat of Napoleon Bonaparte, which the victorious Duke of Wellington called “the nearest-run thing you ever saw in your life,” the young Andreas lost the limb. He returned to Bavaria, where he made a living as a fisherman on the Danube River. He married and he and his wife had five children. With a large family to care for and in search of new opportunities, Von Zirngibl moved to America. 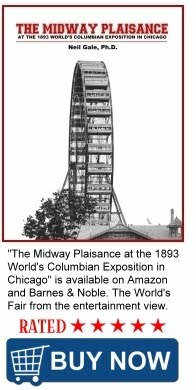 He and his family arrived in Chicago in 1854, which back then was a town of some 50,000 inhabitants. According to his descendants, he purchased 44 acres of land near the mouth of the Calumet River, at a total cost of $160 in gold. Von Zirngibl built a shack on his marshy land and continued his trade as a fisherman, catching sturgeon, herring, perch and pike in Lake Michigan. It could have been the start of an idyllic new life for Andreas and his family, but he caught a fever and died on August 21, 1855, just a year after his arrival in America. In accordance with his final requests, Von Zirngibl was buried on his land. His widow and children placed a wooden marker on his grave and surrounded it with a white picket fence. His family moved to Chicago’s North Side, but continued to tend to the site for many years. Then, in 1895, a land dispute threw everything into doubt. 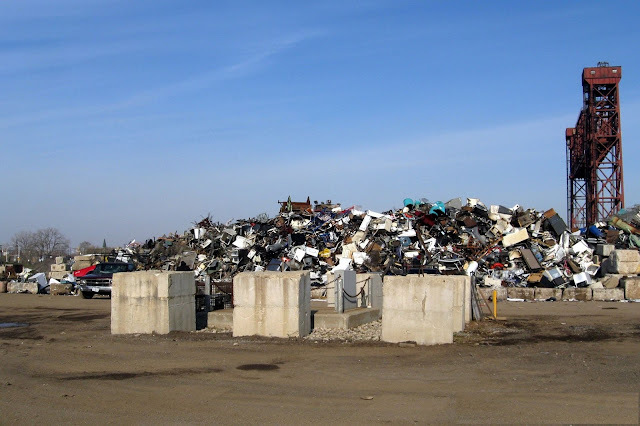 Von Zirngibl's gravesite in the middle os a scrapyard. "It is remarkable," Baker wrote, "that during the years that they saw the forty acres change from an almost valueless swamp to a tract of land worth a million of dollars, they made no attempt to profit from it." Perhaps most damaging to the Zirngibls' claim of ownership was evidence that scores of other bodies were buried on the land. 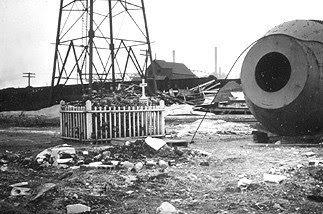 One witness, albeit 40 years after the fact, testified that Von Zirngibl had actually died in Whiting, Indiana and that his sons took him to the mouth of the Calumet to be buried. Andreas von Zirngibl’s gravesite and headstone. In 1987 the Southeast Historical Society, with the help of Henry Zirngibl, a descendant of Andreas Von Zirngibl, raised money to repair the rundown grave. The group placed a large concrete slab over the site and added a new granite headstone with an inscription that read, in part, "A Veteran of 1816 Battle of Waterloo," even though the battle took place in 1815. Around the grave site, the Southeast Historical Society placed four massive concrete blocks to protect and mark the gravesite.